We all love to live in a clean house. This is a fact and it does not make you a cleaning fanatic or a germaphobe. Everyone finds peace when they come home to a clean environment. 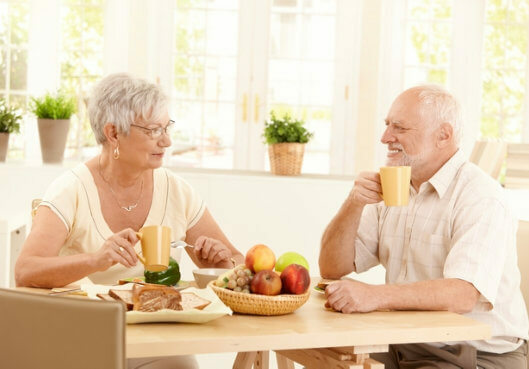 As providers of home care services in West Hartford, Connecticut, At-Home Care Services believes that there is a connection between a clean house and a positive mental state for older adults. People who stay in a clean home are more active and healthier. When your home is clean, you are inspired to move around and enjoy staying and doing activities in every room. Because of the tidiness of the house your older family member stays in, he or she is encouraged not only to move around but to maintain the cleanliness of their abode. This will help them prevent idleness thus making them healthier in mind and body. Aside from having a healthy mind and body, a clean house encourages your seniors to eat healthily. When everything is arranged in an orderly manner, it makes it easier to spot healthy foods rather than in a chaotic room. Also, when you stay in an untidy and messy room, you stress out. And when you stress out, your primary action to achieve comfort is to eat, eat, and eat. That’s why people who are exposed to stress get to eat unhealthily than those feel relaxed. Which bedroom do you want to sleep in – one that has the bed and pillow covers changed and the floors cleaned or one with messy furniture and random things thrown across the room? All of us want to choose the former. Why? Nobody wants to sleep in a messy room. That’s why we deliver homemaker services in Connecticut. There is nothing better for a senior to ending the day on a clean bed. A dirty house is not only home to your old parent but also to harmful microbes that may cause allergies and infection. Within the dirt trapped under the bed and in between nooks and crannies, bacteria lurk waiting to enter to the system of their unsuspecting victim. Staying and living in a clean house boosts your productivity. Our minds work better in an environment that is not only sanitary but also organized. Without all the clutter, your mind is able to focus on what needs to be focused on. But what if you are not there to keep your parent’s house clean? And what if your parents are not in their best health to keep their own home clean and tidy? This is where our personal care assistant in Connecticut comes in. We offer services that keep their house spotlessly clean and well looked after. Ask us about it! This entry was posted in Older Adults and tagged healthy diet, healthy mind, illnesses and infections, productive, Sleeping well. Bookmark the permalink.